EU Commissioner for Refugees Dimitris Avramopoulos said Germany would be accepting more than 10,000 refugees from North Africa and the Middle East. He added that the EU Commission had received a commitment from Berlin this week, confirming that Germany would play an important role in the EU’s latest resettlement program. “The German government is once again there when it comes to international solidarity,” Avramopoulos said in Thursday editions of newspapers in the Funke Media Group. The EU program aims to provide a legal, direct and safe route to Europe for refugees in need of protection. At least 50,000 refugees from crisis areas are to be brought into the EU by 2019. Other member states have already agreed to resettle 40,000 refugees, meaning that the program’s goal has been achieved, and may even be exceeded. The EU will be supporting host countries by providing €500 million ($620 million) in funding for the program. Since the height of migrant arrivals in Europe in 2015, Germany has seen over 1 million people apply for asylum in the country. 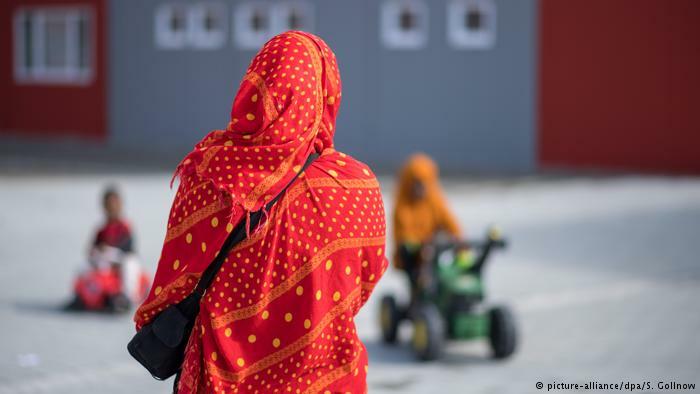 Figures from Germany’s Federal Office for Migration and Refugees show that migrants originating from Syria, Afghanistan, Iraq and Eritrea were the largest groups to arrive in the country in 2016. “Anyone trapped in detention centers in North Africa must be rescued,” he said. “We must quickly return to the normal functioning of the Schengen system. If the Schengen system collapses, it will be the end of the EU as we know it,” he said, referring to Europe’s visa-free travel area. German Interior Minister Horst Seehofer recently informed the EU Commission that controls on Germany’s border to Austria would be extended for another six months, although systematic controls on flights from Greece would be discontinued. Seehofer has said that Europe’s external borders are not properly controlled. Avramopoulos contradicted Seehofer’s comments that internal border controls in Europe would be necessary for a long time. “I think we’re on the right track,” Avramopoulos said. He then referred to the construction of the European border and coastguard services and measures to improve border management, which includes the planned introduction of biometric ID cards. Avramopoulos will be meeting with Seehofer in Berlin on Thursday.